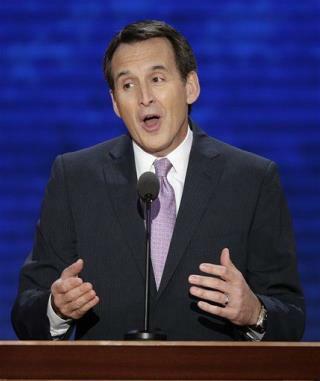 (Newser) – Passed over for vice president, Tim Pawlenty is getting out of Team Romney altogether and cashing in: He's stepping down as co-chairman of Romney's campaign to accept a job as CEO of the Financial Services Roundtable, one of the most powerful lobbying groups in DC, the Hill reports. Romney gave Pawlenty a glowing send-off, saying in a statement that he "brought energy, intelligence, and tireless dedication to every enterprise in which he's ever been engaged, and that certainly includes my presidential campaign." More rats jumping off the Mittanic. Looks like the GOP high rollers are taking to the golden parachutes. Smell the smoke?